Introducing Vnde - a non-alcoholic beverage made from premium New Zealand fruit. 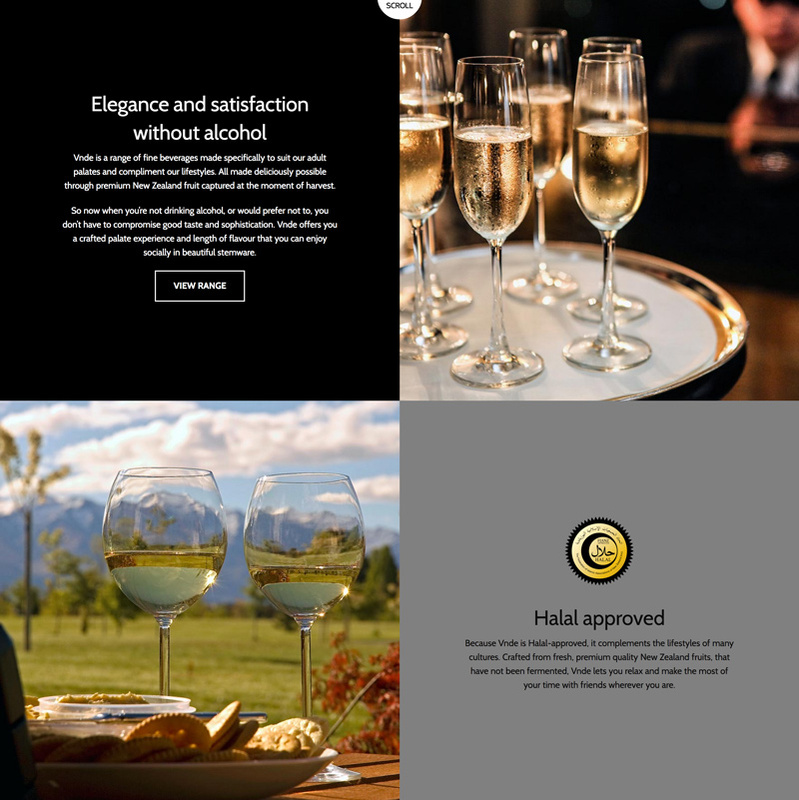 vnde.co.nz is a distintive drink designed to fit into any social gathering. It is a great fit for people looking for a sophisticated drink without having to drink alcohol. 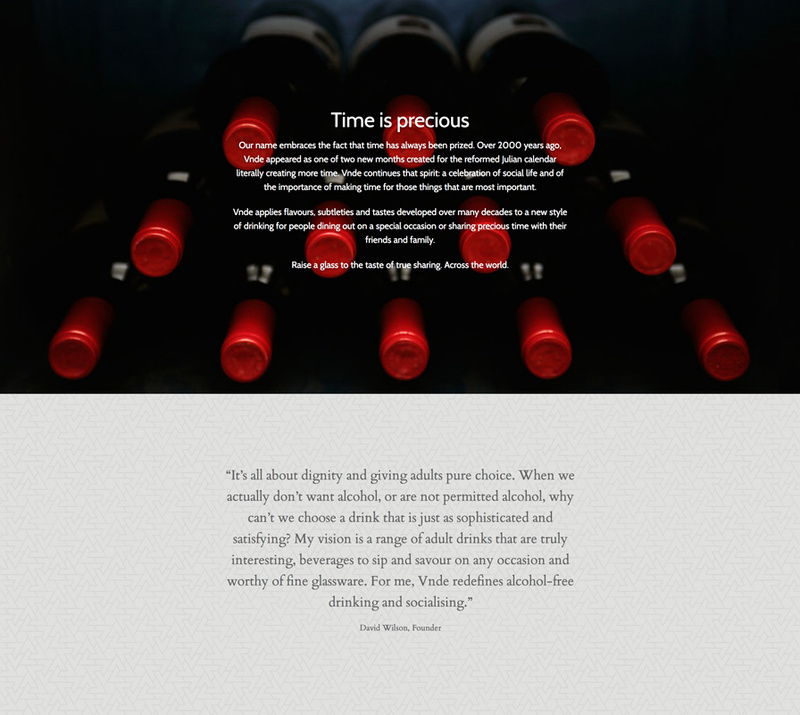 The website includes scalable vector graphics and HTML5 video to convey the premium nature of the drink. Design and brand development by Capiche Design. UPDATE: VNDE has now re-branded to Arahi and changing the website.